This week has been sorta different for me reading wise. I started Wolf Hall, by Hilary Mantel, on Monday night knowing that I would not have the time to finish it. 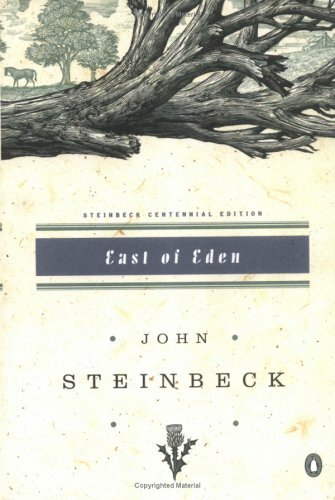 I gave myself until Friday night to read what I could (a little over a hundred pages) and then I moved on to East of Eden, by John Steinbeck. The last discussion begins tomorrow, so I had hoped to have it finished by then, which is why I had to abandon Wolf Hall for the moment. I’ve got about 70 pages left in EoE, so I am definitely on track to finish it today. Look for my final review tomorrow. Then I will be starting Frederica, by Goergette Heyer. I have a tour stop for that this coming Friday, so watch for that as well. Meanwhile, I hope to be getting back to Wolf Hall soon. I am enjoying it a lot so far, although Mantel’s writing style takes some getting used to in my opinion. At the moment though, I am off to Waffle House. Fiance is NOT too happy–he says there food is “disgusting”, but I am looking forward to some hash browns and chocolate chip waffles!! Hope everyone else has a great Sunday! !